Have you ever repurposed something you’ve already repurposed? 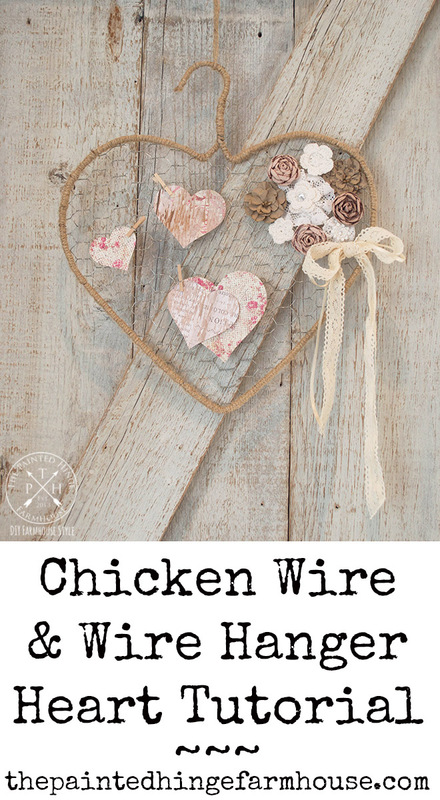 That’s exactly what I did with this chicken wire and wire hanger heart tutorial. It’s a Repurpose 2.0. 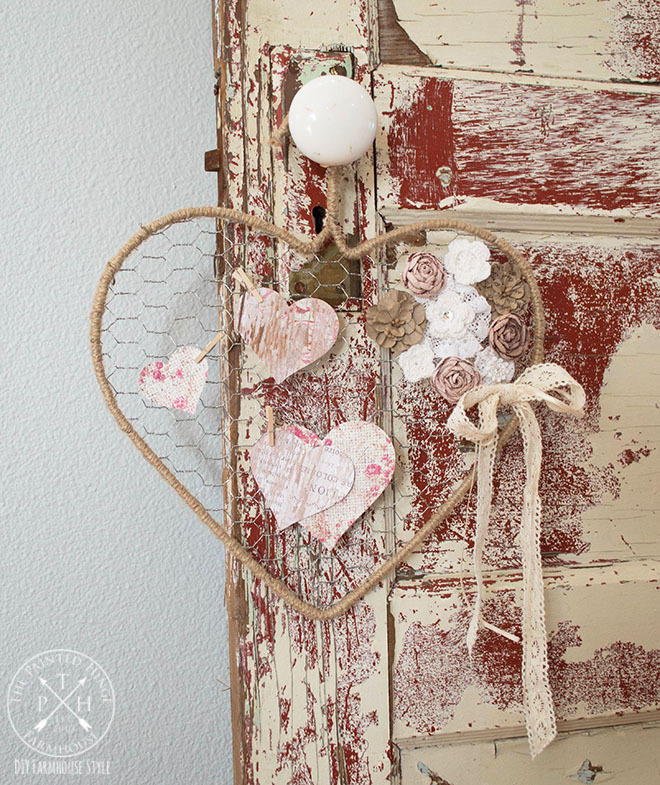 This was inspired by my Keys To My Heart Valentine’s Day Wreath tutorial that is pictured below. It’s been hanging in my master bedroom for a couple of years now, and I decided I was bored with it and to make it over into something new. This post contains Amazon and Hobby Lobby affiliate links for your convenience to help you find the supplies I used to make this project. I make a small commission if you order through my links, but it doesn’t cost you anything more! If you do, thank you! 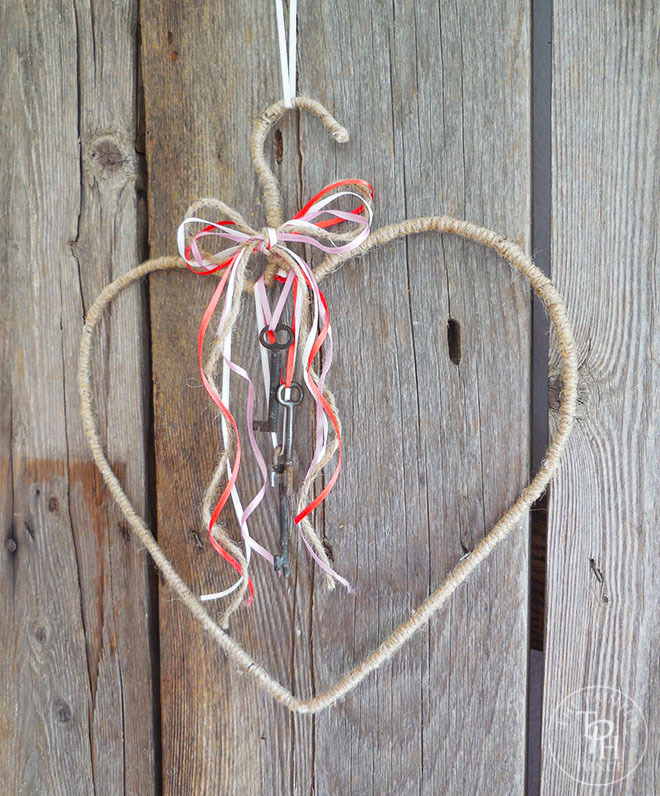 Follow the directions in my Keys To My Heart Valentine’s Day Wreath tutorial to bend the wire hanger and cover it with jute twine. When you’re finished, your heart should look like the one pictured above. 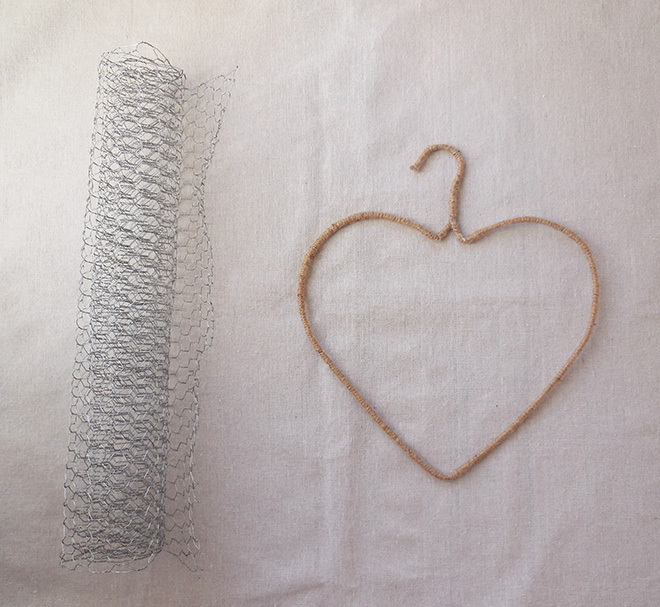 Roll out and lay the chicken wire as flat as possible, lay the heart on top of it, and cut the wire around the outside edge of the heart while holding it down flat. 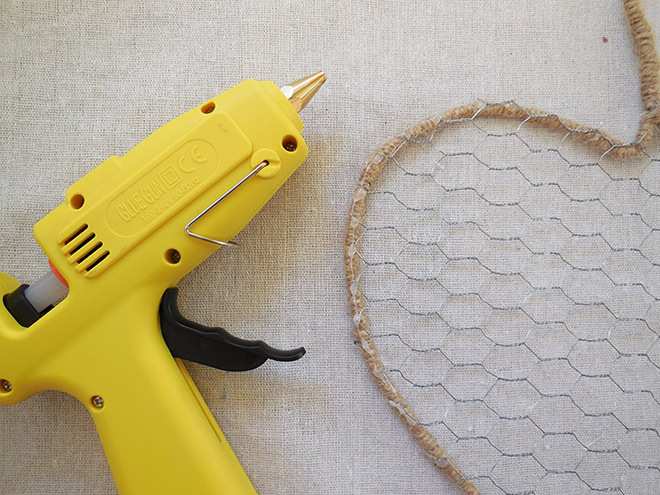 It’s better to cut the chicken wire a bit larger than the heart, because it’s better to snip off any excess you may have later than to have the cutout too small to fit the heart. I have no idea why my hand looks so red in the photo. I wasn’t sunburned and the rest of the tones in the photo look fine, so I’m just chalking it up to having weird Irish skin. 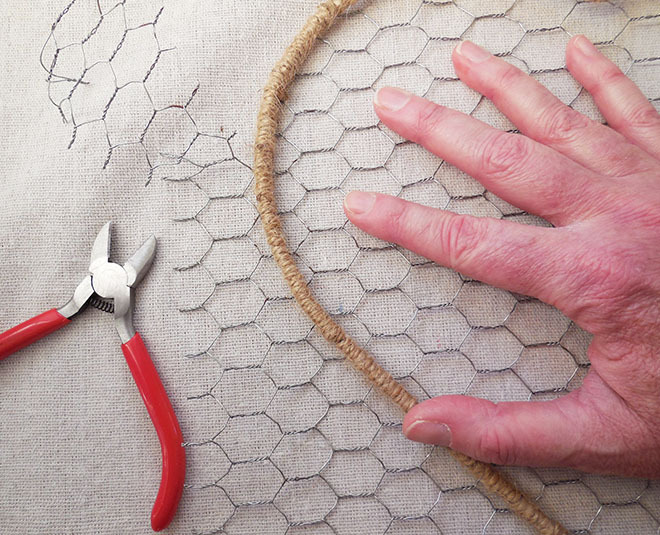 If the chicken wire is cumbersome to work with when you roll it out, don’t worry – it’s a lot easier to manipulate once you have it cut out. Turn the heart so the “wrong side” is facing up (the wrong side is whatever side you want it to be) and glue the chicken wire edges to the heart. One the glue is dry, snip off any wire that is hanging over the edge of the heart. 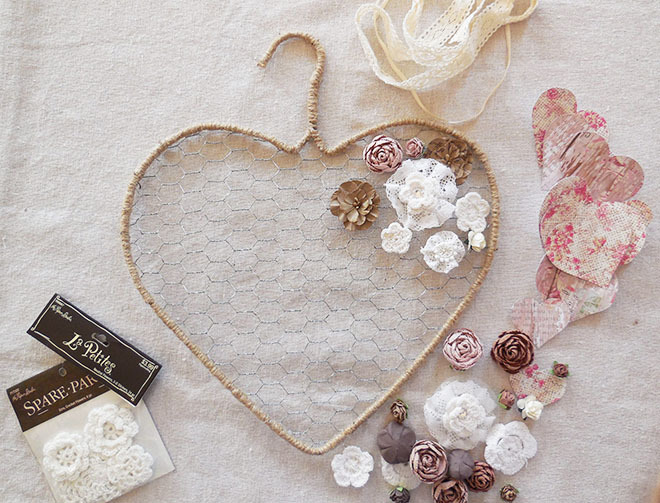 Lay out your scrapbook embellishments on your heart, arrange to your liking, then glue them on with the hot glue. Put some paper underneath the wire while you’re gluing so any excess doesn’t stick to the table you’re working on. 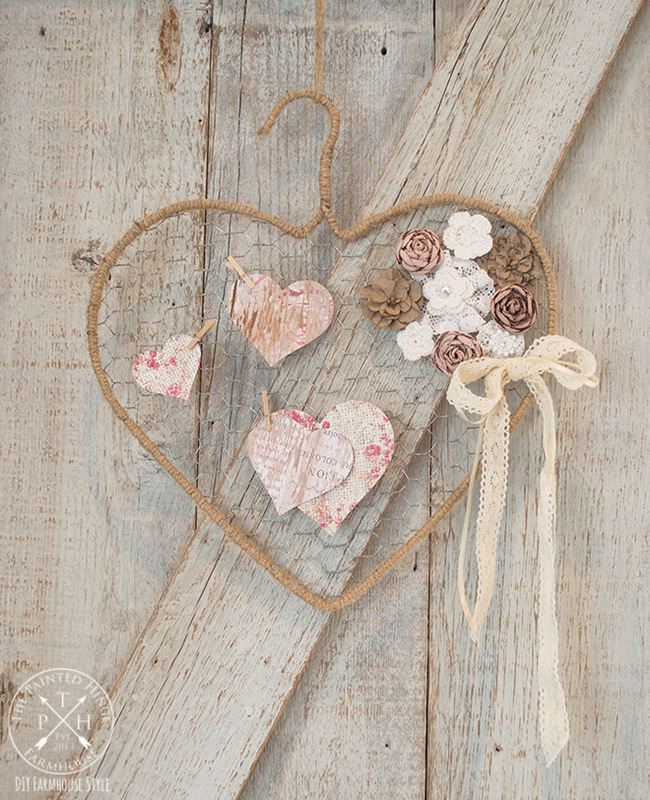 Cut heart shapes out of the scrapbook paper, arrange and hang on the wire using paper clips. You can also hang Valentine cards, jewelry, or whatever you like! 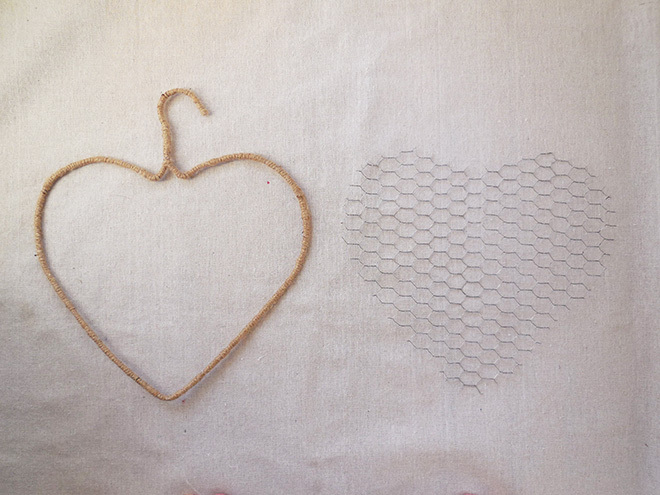 I hope you enjoyed my chicken wire and wire hanger heart tutorial! If you have any questions or comments, please leave them in the comments section below! Are you selling these? I would love to order one. How much would you be willing to pay for one? I absolutely love this! Simple yet country chic. Can’t wait to get mine started. I am going to write messages of love on the back of he dangling hearts. Thanks so much Julia! 🙂 And what a wonderful idea to write love notes on the back of the hearts! Love your heart! Great crafting for Valentines! 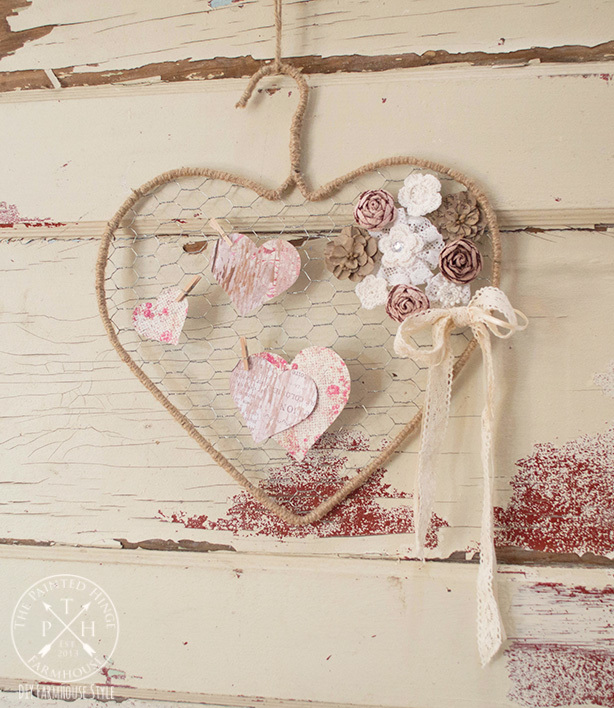 Thank you for sharing the love on “Vintage Valentine” blog hop! You’re very welcome Deborah – thanks so much for hosting the blog hop! It’s so fun!